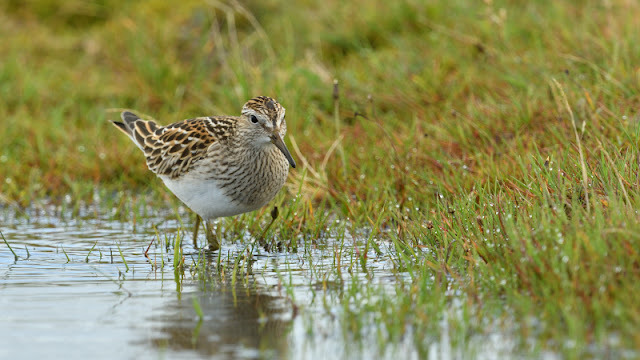 I found this juv Pec Sand on Sunday afternoon with some Ringed Plovers. As always at this site, if you stay in the car, the waders are very obliging. This Pec Sand was pretty tame and gave some great views as it fed in the puddles. I visited the airport on Friday and there was a complete clearout of all waders so I'm assuming that this one is a new bird in, following the heavy rain on Saturday. This is the 8th record of this species this Autumn, in Cornwall. Taken with Nikon D500, 500mm F4, 1.4x TC, car window mounted.